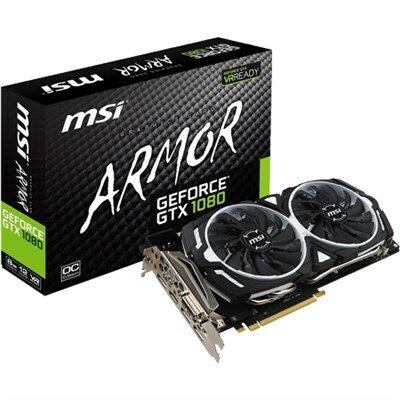 MSI GeForce GTX 1080 8GB Armor - $500 at BuyDig.com! For the first time in months, a GTX 1080 is now available for $500! BuyDig.com has the MSI GeForce GTX 1080 8GB Armor for $499.95 shipped free, w/ Coupon GAMETIME. Expires 8/28.